"When you love what you do, you'll never work a day in your life" - That's how I feel about my DJ/Production business - I absolutely LOVE doing this!! Aside from that, my unique quality and reason you should book with me is that there's nothing that can come up that will throw me off. Anything you'll need throughout the night from an entertainment standpoint; I can handle it. I always bring a backup laptop and speakers with me just in case something goes wrong, and I ran a recording studio for my day job for 4 years in the past so I can work around any kind of setup obstacles! 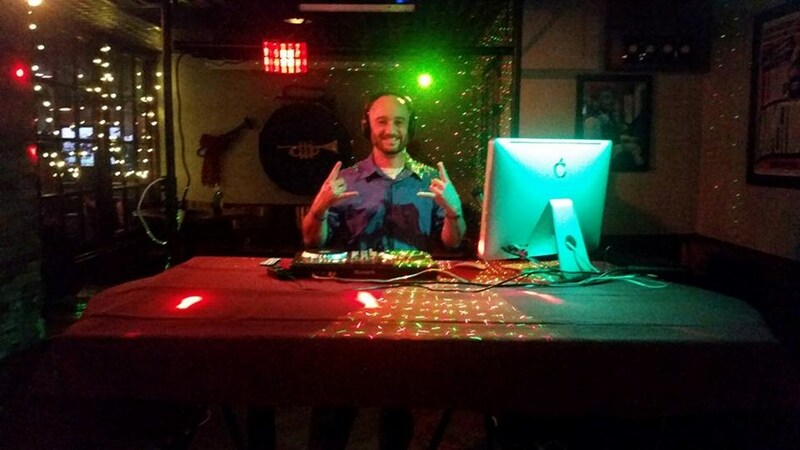 My name is Adam Carluccio and I've been doing this professionally now for over 10 years - I have enough sound equipment to host an outdoor festival and I'm a professional radio host, DJ, Pianist, Guitarist, Drummer, and Singer! Whether you're looking for a DJ for you wedding or just someone to run Karaoke, I've got you covered. Whether you just need speakers and amps to provide sound big enough for a 4,000+ person festival, or you need someone to Emcee the event, too - I've got you covered! Even if you need someone to be a speaker at a live event, reciting speeches or presenting vows - I'm your man :) Mix in some piano or maybe a little live guitar? I even do that, too! I've spent 4 years on the radio and host a Sunday morning sports show on Sports 106.1 FM in Richmond, so I have no problem MC'ing and maintaining a positive vibe with fantastic music, smooth transitions between songs, and the ability to take requests, make announcements, and throw on some karaoke at the drop of a hat - that's what I do better than most, and I'm excited for the opportunity to do it for you! I want you to know up front that I realize whatever you're booking me for is extremely important to you. I give you my word that I'll treat it as such, too. If you're close by I'm all for meeting in person - if you're a little further I'd absolutely look to speak over the phone as much as needed in order to go over exact details and anything else you'd need. It's just as important of a night for me as it is for you, I guarantee it! - A Mobile Hotspot. I bring the internet with me, so we've got any song on the planet anytime you need it! I hope this helps you get a feel for me and what I can do for you. If you'd like to see more, just head to and head to my gallery and get a feel for what I do! I'm also on and under DJ Luccio! Wow - I could not sing enough praises for DJ Luccio and his professionalism and enthusiasm. He was transparent, communicative, and excited to be a part of our first EVER karaoke reception with the private sector and local elected officials. His talent and personality got the party started and maintained momentum throughout the night. Bottom line, he knows what he is doing and knows how to make your reception/event a success! DJ Luccio was great. He brought a lot of energy to the party and knew what songs to play when. He did a great job; would hire him again. 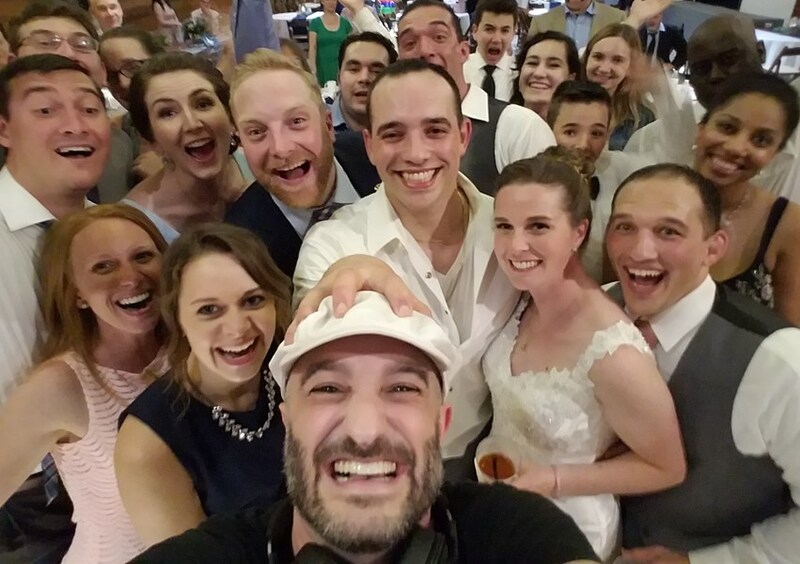 DJ Luccio was great and brought so much energy and life to our wedding party. He had a great choice of music, read the room very well, responded well to our crazy music requests (lots of Danish dance music at our wedding), and was so much fun to be around. He ran around like a maniac during some of the dances, participated with us and took lots of photos. Great guy to chat with, wish we had more time to hang out. 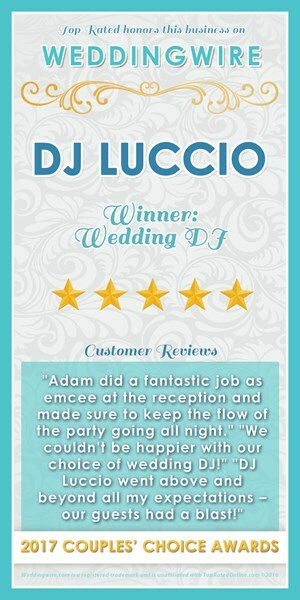 Can't go wrong with Adam (DJ Luccio), he's a fantastic choice. Adam was absolutely amazing! It was great working with him. We booked him early & never regretted our decision. He was wonderful at keeping things low stress especially for me (the bride) by reminding me that day-of he & the other vendors will make everything work, whether adjustments were needed because a late start or we were still greeting our guests, he'd handle it. He was even great checking in the final week and genuinely wanted to make sure that I was not stressed. The music he played for our ceremony was beautiful. He kept an eye on the guests during the reception to make sure he played the right music to keep our guests dancing until the very end! I will use him for all my parties! DJ Luccio was very professional – both in pre-wedding meetings and during the event. He quickly set up his equipment and didn’t need any direction – letting us prepare for the day and enjoy it. The sound quality was perfect for both the ceremony and reception and all the timing worked out. During the reception, he played appropriate music for a multi-generational crowd and was skilled in getting and keeping people on the dance floor. You will not regret going with DJ Luccio. Adam was fantastic, he played the right music at the right time and our guests were up and dancing the ENTIRE time he was playing music! We couldn’t have asked for a better DJ at our wedding. Thank you Adam!! I hired DJ Luccio to provide background music for a corporate opening reception. He is the first DJ I've ever hired in 26 years that never played too loud. He was so respectful of our networking space and provided the perfect mix of background music. Thank you, Adam, you were perfect for our event! I hired DJ Luccio for a large corporate social event. He was friendly and easy to work with before and during the event. DJ Luccio was accommodating with our special requests including those related to our budget, which was a big factor for us, and responded to emails and calls in a timely manner. During the event, I received many compliments on the music selection (he took attendees' requests as well as had his own playlist) and DJ Luccio's ability to create a fun party atmosphere. I would recommend DJ Luccio and will definitely consider hiring him again for our future corporate events in the greater Washington, DC, area. I bring a 4GLTE Hotspot! Please note DJ LUCCIO will also travel to Clifton, Chantilly, Fairfax, Manassas, Herndon, Reston, Catharpin, Fairfax Station, Oakton, Burke, Dulles Airport, Vienna, Bristow, Springfield, Arcola, Merrifield, Sterling, Annandale, Aldie, Dunn Loring.